Super Bowl LI between the New England Patriots and Atlanta Falcons, being held at Houston’s NRG Stadium, is just 3 days away! Actually, at the moment it’s 3 days, 5 hours, and 38 minutes away. 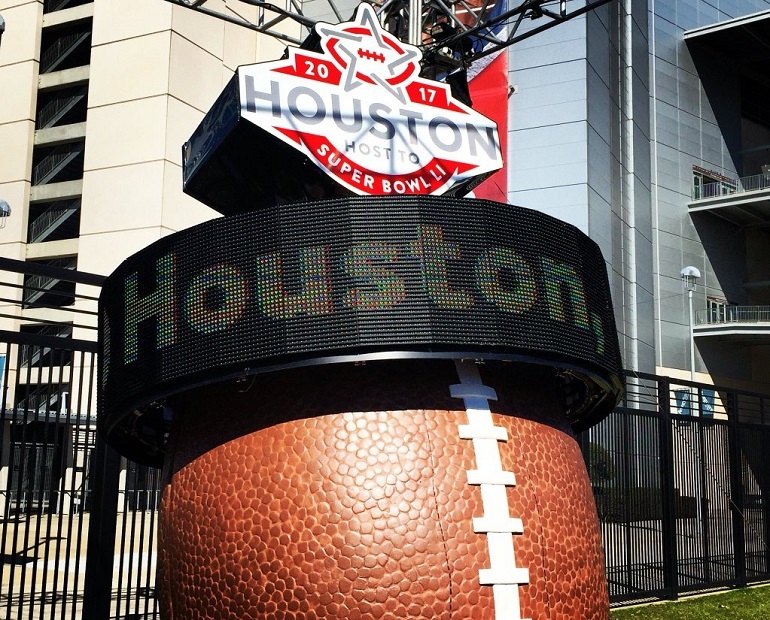 Our friends at Staging Solutions have ensured that Houston residents have been well aware of just how long until the big game by installing four 15′, football shaped Super Bowl countdown clocks around town. 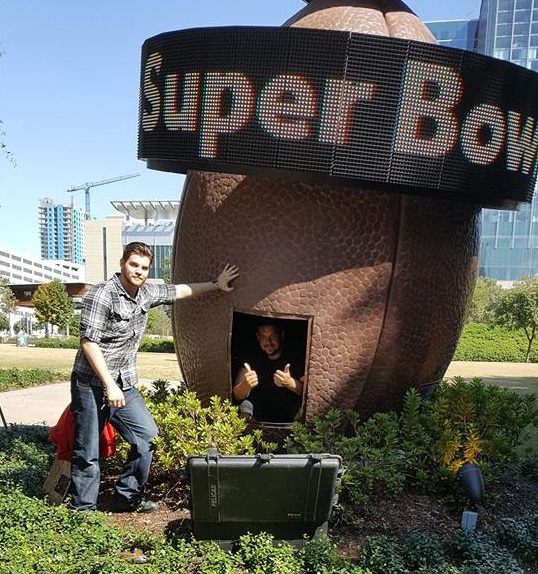 Staging Solutions, a leading staging production, design and event management company based in Houston, worked with the NFL and the Houston Super Bowl Committee to create the countdown clocks which have been running 24/7 since they were installed nearly a year ago. The first clock was unveiled early last year at NRG park, with the other three coming online shortly thereafter at two major area airports and Houston’s Discovery Green park. Because the countdown clocks have been installed outside, the team at Staging Solutions needed computer hardware that could be counted on to reliably operate in the heat of a Texas summer. Working with our hardware experts, Staging Solutions selected the POC-200 Rugged Compact Fanless Computer. The POC-200 offered the combination of processing, connectivity and operating temperature range (-25 ~ 70C) that the countdown clock installation would need, and fit well within the project budget. If you’re in the Houston area, or happen to be heading to Super Bowl LI, snap a picture of yourself in front of one of Staging Solutions’ countdown clocks, we’d love to see it! Tag us on Twitter @LogicSupply or Instagram @logicsupply, and be sure to give Staging Solutions a shout out as well @stagingsol. Check out the other fascinating creations by some of today’s most inspiring machine builders in our ongoing Powering Innovation series.